Panna Gill Fanclub : New GOTW on PG 18! Ok i know there is already one fanclub but it has been inactivate for a while and thus has been closed so im starting a new one! Panna Gill's inspiration for music is his own father Lakhbir Singh, who is a renowned devotional singer. Panna's interest in music blossomed at the age of 13 and since then all he has thought about is a career in music. After completing Class XII, he decided to focus fully on the love of his life. A disciple of Ustad Ghulam Mustafa Khan, Panna loves all kinds of songs. "I love all kinds of songs which soothe my ears and mind. There are just seven notes in music and every kind of sound is based on them. No one cannot say that dance music is bad or western music is not ours. For me anything that appeals to my soul is good music". This is also the reason why Panna says he never has favourites. "Whatever I will sing right now is my favourite at this time. I cannot pinpoint and pick up songs". Sonu Nigam is his inspiration: Panna idolises him and wants to be like him. "He is a perfect artist and performer. He is not only a great singer, but also a very good-looking personality who looks dashing when on stage. I want to be a complete package like he is," says Panna, who spends a lot of time at the gym, which is as well because he loves eating good food with his family and friends. Other then this he has also been famously paired with his indian idol co-contestant Antra Mitra, who was also the only girl to make it to the top 5. Antara had said publicily, that if she could bring back anyone, she would like Panna to be back while Panna, while leaving, said that he wanted Antara to be the next indian idol and these two are now doing stage shows together. Antara was also seen crying when Panna got eliminated. Q1 : What do you like the most about him? 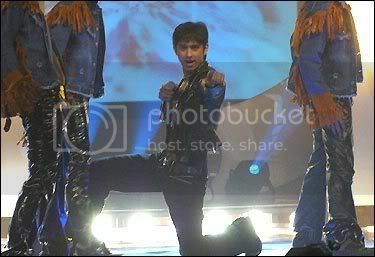 Q2 : Which is your personal-favourite performance of him? Q3 : What made him stand out? Q4 : Which female co-conestant do you think suit the most with him? Ok so the new game of the week is the "Truth and Dare!!" See the you have to ask the person above u, truth or dare n den u have to give him whatever he chooses. N after he is done wid it, n has answered dat, he wud ask the next person, truth and dare the game wud continue!! So plz join in! Thanks!! Jhalak Dikhlaja Performance.. He was too good! His looks n his unique style of singing! Afterall Mrs. Gill has to be in this Fan Club!! Warna Fan club kaise chale ga! !